The (RJ) series are manufactured using vacuum sputtering system to deposit multiple layers of mixed metals and passivative materials onto a carefully treated high grade ceramic substrate, the resistors are coated with layers of blue lacquer. The metal-film technology is capable of supporting accuracy characteristics over a broad resistance range. 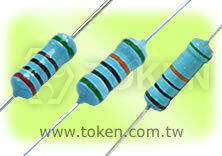 Types include axial through-hole and metal film fusible resistor for special purpose. 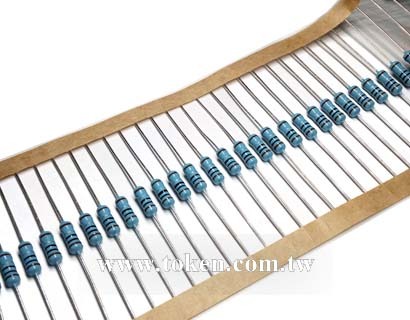 The resistance element in these devices is a precisely controlled thin film of metal alloy deposited on a high quality alumina rod. Plated caps are force-fitted before the assembly is trimmed using advanced trimming techniques to ensure excellent performance and low electrical noise. (RJ) Series equate Vishay, IRC, EBG, Panasonic Precision Devices with more competitive price and fast delivery. Contact us with your specific needs. 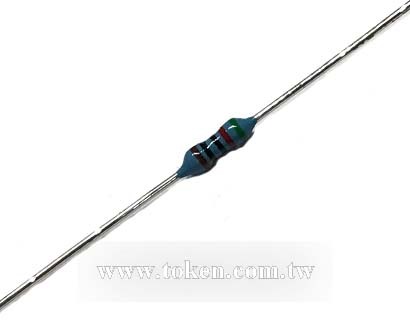 PDF download here General Purpose Precision Resistor (RJ). High thermal conductivity and specific gravity rods. 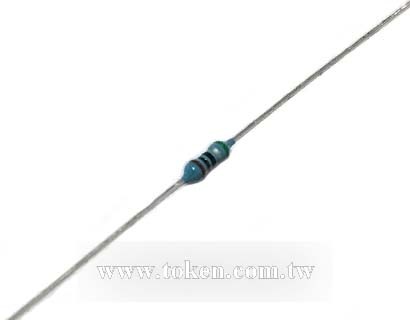 Power Rating: 0.16W~3W, precision tolerance tight to A5(±0.05). Superior electrical TCR performances narrowed to C7(±5) ppm/°C. Epoxy coating, precision metal film, Lead (Pb)-free and RoHS compliant. Telecom, Measuring and Calibration Equipment. Industrial Process Control Systems, Audio, Vedio. Notice: Resistance out of range, tolerance and temperature coefficient match are under request.